I got some fabulous ideas from your bags and boxes created for last weeks challenge at Winter Wonderland. It was a pleasure visiting all your blogs. Thank you to everyone who took part. Thank you also to our wonderful GDT's Sam and Rachel. 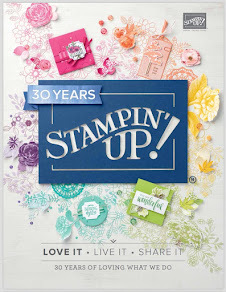 All products are from Stampin' Up! unless otherwise stated ..... The image has been coloured with Promarker Pens. 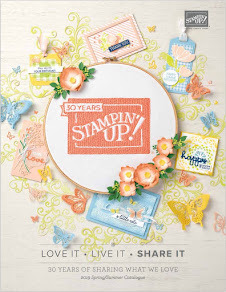 Gorgeous card - I love the cute image! 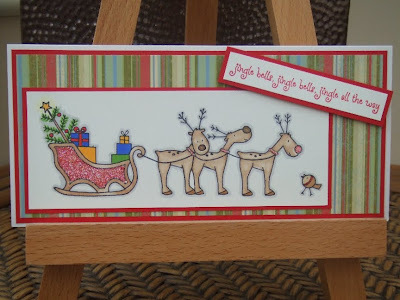 Love the image on this card - just so cute! Teri this is just so cute! I love that image! You have done a great job with this challenge! Gorgeous card, beautiful colours and wonderful sweet image. That is just the cutest stamp, and you've done a great job on the colouring. I love rudolph's sparkly red nose! Gorgeous! You've colored it perfectly. as you always do. Love it Teri! That image is so adorable!! wonderful xmas card ~just perfect for the challege! !~beautifully coloured!